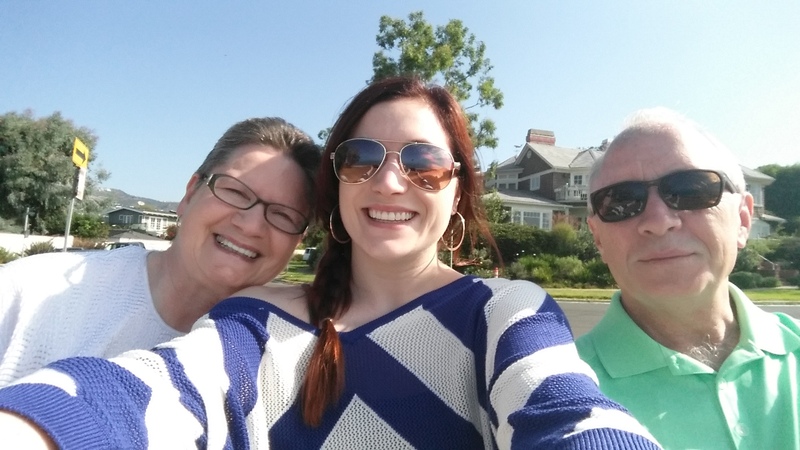 A couple weeks ago, my parents spent 11 days with me in LA. The three of us stayed in my studio apartment. I slept on the couch. It was a lot of Mommy and Daddy time. But to be honest, it was perfect timing. I needed some replenishments. I needed a little boost. I don’t realize how deeply I let myself neglect other areas in my life until someone forces me to pause and look at it. I’m not always great at keeping myself balanced. I’m focusing and working hard on several projects trying to get the giant train that is my career out of the station and picking up some steam. Until then, I tend to just do what absolutely needs to be done and spend the rest of my time creating and working on my goals. They came in, bought me supplies, cleaned and tidied up my apartment, upgraded sections of it, saw a bunch of shows, sat in a lot of traffic and enjoyed perfect weather daily. I don’t get to spend time with them all that much since we live so far apart. So don’t tell anyone, internet, but I actually had a delightful time. And I kept people in the loop on all the wacky shenanigans with the #ParentalDownpour2014 hashtag. They want to make it an annual trip.